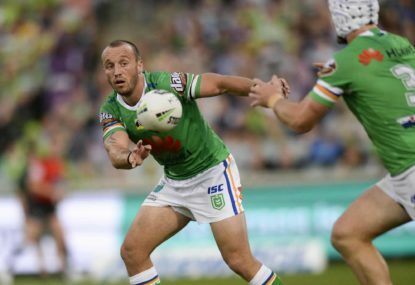 Round 1 team selections are one of the most anticipated moments in the NRL season. I was all set to write a completely different article this week when a column piece in a Sydney newspaper penned by rugby league reporter Danny Weidler popped up. It made me agitated and immediately motivated to reply. 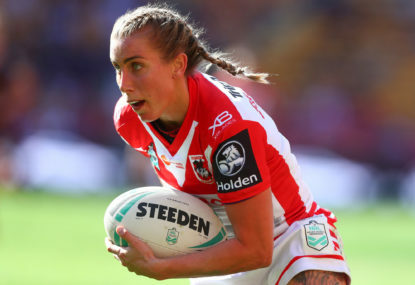 Another day, another edition of The Roar’s top 50 NRL players for 2019. 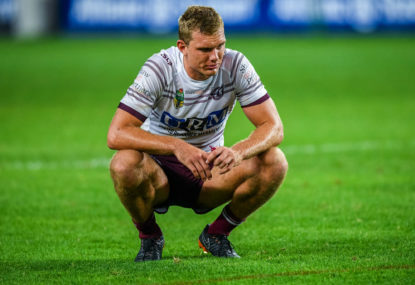 A recent social media discussion on Wests Tigers’ Rookie of the Year candidates prompted me to peer out from the wreckage of another disappointing season to find six rays of light that may just make a difference in 2018. Rugby League International Federation (RLIF) Chair Nigel Wood said this week that a nine-a-side World Cup could be held in 2019. 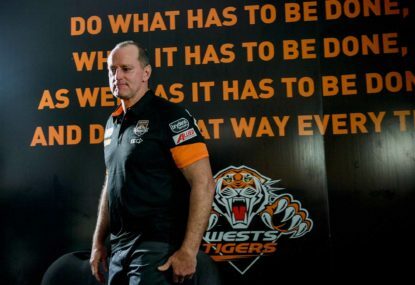 The much maligned Wests Tigers management group made the best recruitment decision in the club’s short history when they handed the clipboard to Ivan Cleary. 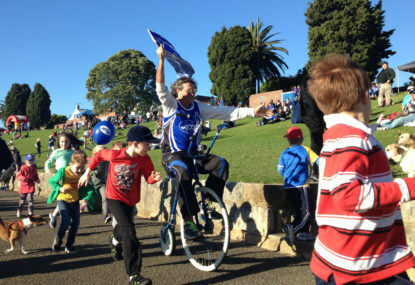 I learned to love watching rugby league on the hill with my dad at Leichhardt, Redfern, North Sydney and Henson Park. 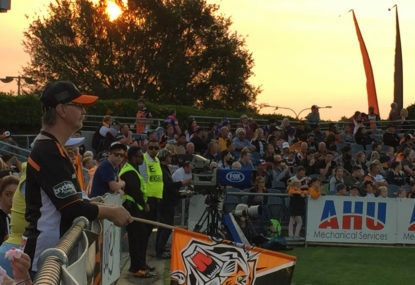 Since scoring the role as Wests Tigers chair in late 2014, former journalist and publishing executive Marina Go has shouldered media and fan criticism for the club’s on and off-field performances. 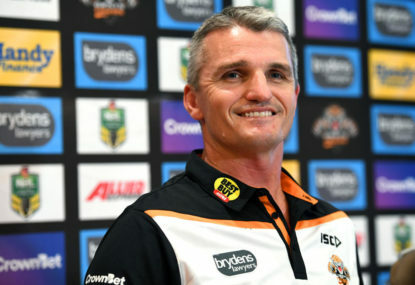 As Ivan Cleary sat at the press conference, flanked by Wests Tigers Chair Marina Go and CEO Justin Pascoe, accompanied by a media release stating how impressed the board were with Ivan’s vision for the club, there was a sense of deja vu as a Tigers fan. 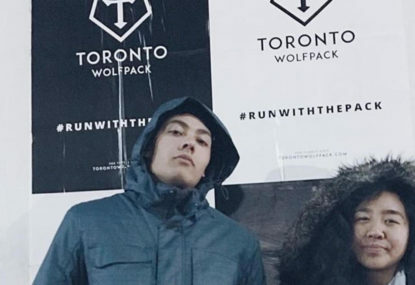 A significant moment for the game of rugby league will occur at New River Stadium in early March, when the semi-professional London Skolars host the first transatlantic professional sports team, the Toronto Wolfpack. 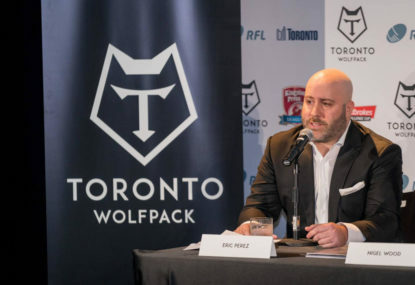 Toronto Wolfpack founder and CEO Eric Perez says his club will push the business of rugby league into a new era. 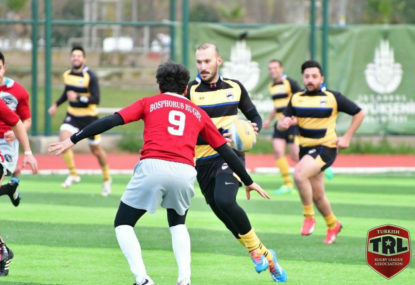 I first met Turkey coach and administrator Julien Treu in October last year, at a rugby league weekend on the island of Rhodes in Greece. I believe Scott has changed Roar Tipping policy guidelines to ensure TBC can never be repeated. Your points are good but population growth doesn’t always equate to large on ground support for the local team. There are a number of other factors. 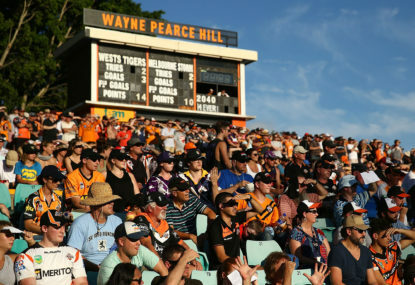 Otherwise the Gold Coast and Penrith would be at the top with average attendances. As one off events suburban grounds work well but the horses for courses approach with more matches at larger modern stadiums such as Western Sydney is the future. A combo of old and new works for me Adam but I get your point. The new stadium should be used extensively. Increased membership, sponsorship and game revenue according to the club. Every club receives the grant but not all ended up in the black. Just testing to see if I could leave it until half time Baz. Haha. Probably still get it wrong! I think they have struck the right formula in Bruce Geoff. Expecting them to go to the next level and make the finals this season. Will enjoy watching them get there. Yeah Ricky does divide fans Barry but recruitment and development at the Raiders is hard to fault. Joe I agree. I am expecting them to be up there with the big boys in September. Definitely my favourite ‘other team player’ at the moment. Mary I can’t add the link but it was Daily Telegraph March 28. 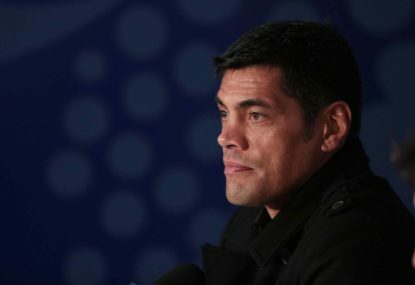 Warriors CEO Cameron George and Dragons CEO BriannJohnston both quoted as saying teams would likely withdraw if the funding model didn’t change. Scott Pryde can obviously pick a Dragons form reversal. 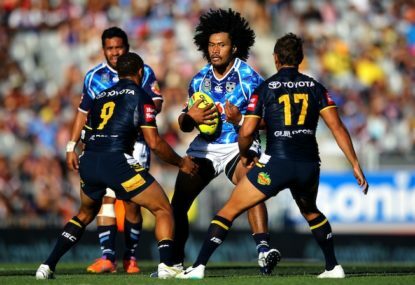 Quinn Ngawati is still only 19. He couldn’t get a run in the top side last year and spent time with London Skolars so has returned to union. Perez was upfront about WP’s ambition to get to Super League as soon as possible when I spoke to him in 2016 and was recruiting the overseas players that could get them out of League One in one season. Ottawa plans to recruit from the Canadian rugby union ranks rather than the TW model of established players from OS was my point there. Would they be the ones that can’t put a decipherable sentence together Pete? Barry, I don’t think I was shock jocking at all. Just restating the long bow drawn by Weidler. It may have not been crystal clear but my reference in both the 23% and 160,000 was to viewing of the All Stars game. If that’s shock jocking I reckon I need to do some work to match Sydney’s best. 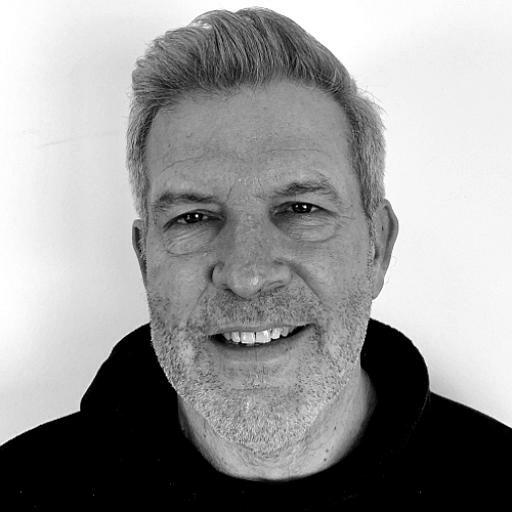 He would be a great addition Adam. We disagree Rakshop but I will certainly enjoy watching over the next couple of years to learn the outcome. I believe he is in the cusp of being a genuine superstar. 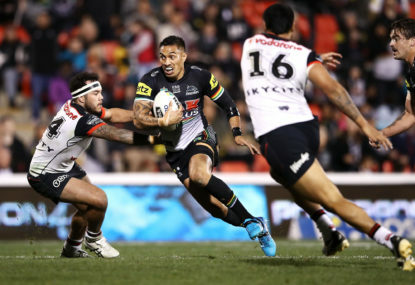 The Knights have a very good look about them in 2019. If Brown can’t get then into the finals with the roster he has at his disposal he may be looking for a new job. 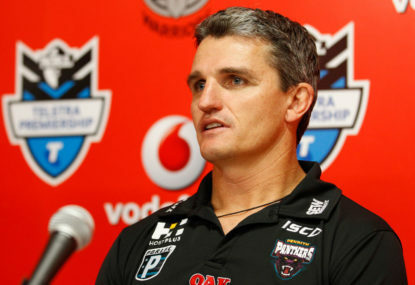 I think he will not only do a good job of replacing those Queenslanders he will go down as one of the greatest. Yes Radley is also very impressive. 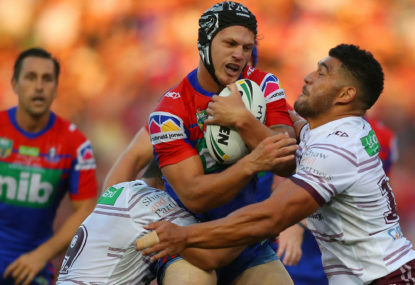 Ponga is a once in a generation talent. Very interesting data Tim. Thanks for putting this together. I like many other Tigers supporters would have pointed to Gavin Badger for our highest percentage of losses. He seems to penalise the hell out of us! Facts dispel this gut feeling and we can point the finger at Henry! Haha. Other interesting stats might be penalty counts according to position on the ladder, most penalising refs and second half penalty turnarounds that provide a balanced count at the end of the game? World championships are the pinnacle for a number of sports and need to be included when talking funding alongside Olympic and Commonwealth games. Are Commonwealth Games medals worth the taxpayer money?